And how it can help you too, no matter what you’re going through. Between August and December 2015, my life changed drastically — if that’s not oversimplifying it. I got depressed on my job as a lawyer in my father’s firm. Quit the job and left home same day. Moved in with a friend for a while and later got on the verge of becoming homeless. Lost my biggest client. Launched a new career. And started expecting a baby. All within 4 months. And surprisingly, just one little thing had me going — my gratitude journal, a habit I’ve now been practicing consistently for about 4 years. A lot has been written about gratitude journaling over the years, and it’s probably not a new topic to you. One thing I’ve noticed however is; it’s easy to be grateful when you have everything going fine in your life, but the test of gratitude really comes when you’re going through some hardship. 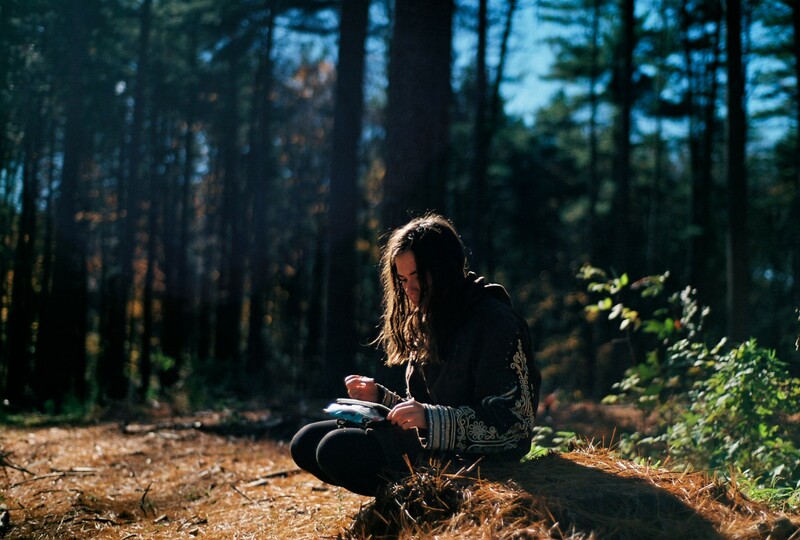 My story however proves that though you should keep a gratitude journal at all times, the real benefits of gratitude journaling are gotten during hard times. I picked up the habit of gratitude journaling late 2013. And it was around the time I just got called to the Nigerian Bar; was winning the respect and admiration of people around me; was also a paid writer for big companies like MSN; was taking a professional copywriting course (with AWAI); and so on. Life was good and it was easy to start — and keep — a gratitude journal. I always had a lot of things to be grateful for each day. And yes, I started enjoying the numerous benefits of gratitude since then. Fast forward to about 2 years later: After months of working in my dad’s firm as a junior counsel, I began to get depressed, and it began to seem like my purpose for being a lawyer was just because my dad is a lawyer — even though he didn’t literally force me. I loved being a lawyer and so much looked forward to it as a student — the prestige and all. What I however didn’t like when I got fully into practice was the fact that, even though I was already an entrepreneur building a freelance writing business while in the university, I had to start the 8–6 grind (I just shake my head when I see people scream 9–5!) and had to take so much orders and conform to a lot of annoying regulations and restrictions. It was affecting my hitherto gradually-growing business. But I was still coping. Things however got worse when I was barred, by my own father, from doing my business around the office or even bringing in a computer or tablet at all, even during breaks. My dad obviously meant well, and was doing what he believes is best for me — like every other good dad. But, it just wasn’t for me. I literally felt like dying, and it was already telling on my health. My biggest value in life was taken away from me — freedom! Needless to say my business died, even though all I wanted was maintain it as a side hustle. I couldn’t promote my business. I couldn’t keep my blog. I couldn’t prospect. I lost my major gigs. And more. As you can probably already guess, I still kept a gratitude journal through all this. Little did I know I hadn’t seen the worst. Let me tell you 8 ways gratitude journaling actually helped me during this period — and the worse periods that followed. 1. I had somewhere to run to. My gratitude journal became a sort of refuge I could vent and release my emotions on. Cry if I wanted, even curse if I wanted — though never did. You know that feeling of having a particular hideout, a sanctuary you run to in times of trouble to escape this harsh world and find succor? That’s how gratitude journaling felt for me during my hard times. Not like I wanted to shirk facing reality, but when I was weak and needed a safe-house, I just indulged in gratitude journaling and get so engrossed in it; going several pages sometimes. Finally, one day, I couldn’t take it anymore. I was already on the verge of breaking when we had to go to work on a public holiday. It was annoying, but we did anyway. I however closed an hour and 30 minutes earlier to catch an appointment I had. Couldn’t get permission from the principal, my dad, because he wasn’t around. My dad got to the chambers soon after I left and met my absence. He got angry and called me on phone to get back to the office immediately. He was definitely going to punish me, but I still wonder what he was planning to do, because I didn’t bother finding out. I texted him back my resignation letter. Declared I was no longer working with him and was leaving home same day. Called a friend up to tell him I was now “homeless” and would need to stay with him for a while. Packed few important things and left home. 2. I enjoyed the power in writing down one’s thoughts and emotions. Generally, there’s power in writing things down. Gratitude journaling served — and still serves to date — as a very potent therapy for me. All my life, I’d always eased my emotions — positive or negative — through writing, especially poetry. My gratitude journal served this important purpose during my low points, and in a better way, since I had no other choice than convert these thoughts and emotions in a totally positive way — a way that showed gratitude. Life didn’t become the bed of roses I expected it to be. Leaving home without your parents’ permission is virtually an abomination as far as most Africans are concerned. Almost everybody I knew, even people I revered so much in family, professional, and religious circles turned their backs against me, because I wouldn’t listen to their plea with me to go back home. The depression didn’t disappear but intensified. I kept more to myself, and almost became totally antisocial, except my crazy new roommate wouldn’t let that happen. Pouring out all my emotions and thoughts, albeit positively, into my gratitude journal more than helped me a lot throughout this period. 3. I was able to count all my many blessings, despite all that was happening around me. This is the same experience gratitude practitioners commonly have: no matter how bad the situation is, you’re always able to find countless reasons to be grateful. Gratitude journaling puts this into perspective; you’re suddenly faced with a list of blessings that make life worthwhile. A list of things you have that many others in the world would kill to have. This also frees you of negative emotions; you become more loving and forgiving, generous, happy and more outgoing. Most importantly, you’ll give more thanks than complain; you’ll appreciate more than nag. Keeping a gratitude journal is a great way to remain in the “now,” as Robin Sherma’s The Monk Who Sold His Ferrari puts it. And living in the now is one way to live a great, fulfilled life — enjoying the blessings of every single day instead of worrying about what was and what is to be. 4. Journaling became my antidepressant. This depression heightened when my friend understandably told me it was time to get my own apartment or find somewhere else to stay, while my major client also became unstable and stopped paying around the same time. Good thing was, on the outside, nobody could know I was going through anything, or could sense the depth of fear and sadness within me. On waking and filling out my gratitude journal, I always had a valid reason to be cheerful and hold on to hope. At least for that day. 5. Lots of good memories to fall back on. My past gratitude journals and their content served as reminders of good times that gave me hope, and even bad situations I overcame in the past. Talk about drawing strength from the past to face the present. As the head pastor of HarvestHouse Christian Centre, Rev. Gbeminiyi Eboda would say; “Gratitude is proof that a man hasn’t lost his memory.” But how many specifics can one remember offhand? This is where gratitude journals get extremely useful. Gratitude is proof that you’ve not lost your memory. Even memories that would have been lost or overlooked were brought back from reviewing my past journals, and I had more cause to be grateful. The saying that “where there’s life, there’s hope” had more meaning to me during this period, and beyond — especially now that I can look back at the period I call my lowest point in life, and just smile. 6. I experienced so much growth. I used this period of facing uncertainty to embark on a journey of self-discovery. I am most grateful for how much I grew as a result of this — from a clueless boy into a young man that got his acts together. Each day, I had an element or evidence of growth to be grateful for in my journal. And almost nothing comes close to the feeling of seeing your own growth, and the fact that you can always relive those moments anytime simply by flipping through the pages of your journal. I learnt self-reliance and independence, I learnt financial management, I learnt about freedom and responsibility — two things I’ve found have to go hand-in-hand. One great change, however, is my digital marketing business I was able to build gradually during this period, to later launch 2016 with a virtual team, while my strength remains writing. 7. An ever-reliable accountability partner. During this period of trying to better myself, build my business, build (and rebuild) positive relationships, and so on, I had to make a lot of decisions I couldn’t afford not following through. For me, nothing gave me more motivation to follow through on decisions than the thrill of making a decision one day and be able to express gratitude the next day for successfully taking action on my decision. The need to have something positive to fill in your gratitude journal at the end of the day or first thing the next day is an unbeatable productivity booster, and it gives you great drive to achieve a lot. 7. I got a non-judgmental listener. I had someone to talk to — or so it felt — ever listening without judging. It made me feel less alone. Just about the time I was getting my life together, I found out my then fiancée was pregnant. “No, not when I just became very religious, especially in a society where it was an absolute taboo to get pregnant before marriage,” I thought. People would definitely judge us — even those that were just smarter “sinners” and would rather terminate the “shame” quietly. Some would see us as disappointments to the family and the church — in fact, my fiancée believed her dad was going to kill her. Now I’m ashamed that the thought of abortion ever crossed our minds. Typical Africans from a Christian background who’d rather avoid judgment and stigmatization. Glad though that we couldn’t even attempt it. I was going to prove to myself I was a better person, and everything I’d done till that point for self-development wasn’t a waste. We were going to take responsibility for our actions and keep the baby (I’d always wanted one anyways) and face everything that comes with it, positive or negative (those judging eyes, unpronounced “stigmatization,” and discrimination from church especially) with the pride of being man enough to take responsibility for my life and start a family. Looking back now, keeping the baby was the best thing that happened to me. I’m now the head of the most beautiful family I’ve seen! Though it was tough, I enjoyed a lot of patient listening from my gratitude journal who wouldn’t judge me — or even give me any reply — but silently cheer my bravery. And this article wouldn’t be complete without saying this was the time I enjoyed my father’s support the most. He made life easier for me during this period, and I remain forever grateful to him. We already got back to being cool by this time, though I never went back home. I’ve gotten to a point where anytime things aren’t going smoothly, the problem can be traced with my gratitude journal. I don’t know how to explain this perfectly, but all I have to do now is trace my gratitude journal back to the point where I feel things have started going bleak, then compare my entries in the preceding “great times” to those of the “bad time(s)” in question. Trust me; most times I’ll definitely get insights that can help me adjust in order to start attracting goodness into my life again. It could be a new habit I had to stop, or even a change in my gratitude journaling habit or style. This self-diagnosis helped me a lot during my lowest point in life. Am I trying to evangelize gratitude journaling here? Yes, I am. But more importantly, I’m trying to let you know that, while there are countless other things you can — and should — do to get yourself safely out of any depressing period of your life, there’s that one very simple and nearly effortless thing you can resort to, to make your transition out of that situation into a better one easier and less painful. Like you already know, I’m talking about gratitude journaling. Finally, as Arianna Huffington wrote in her book Thrive, researchers have found that keeping a list of positive events at the close of a day will lower your stress level and give you a greater sense of calm at night. The world really needs so much of this. Oludami is a freelance web copywriter and certified digital marketing professional. He's the founder of OludamiCopy.com (content marketing and copywriting services) and RenegadeCommerce.com (digital marketing products and services).